iBWIM is the first patented system in Austria established as commercial device which can be mounted on bridge WIM systems. BWIM (Bridge-Weigh-In-Motion) uses a bridge as weigh-platform and parameters of the heavy traffic are measured to obtain informative data. Due to this investigation it is possible to predict the remaining lifetime and the maintainer receives a report which serves as decision basis. At BWIM sensors are installed under a bridge and measure data like speed, axle load and weight of each vehicle that passes the bridge. Results are amongst others a measuring report and an axle load and traffic flow model. 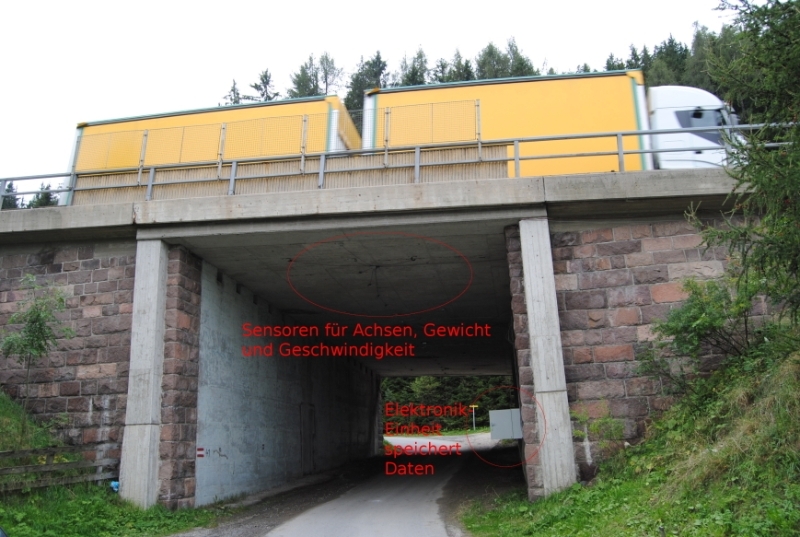 A system is installed for 1 to 4 weeks at a bridge and the collected data is evaluated. Results are an overview of the whole traffic, histograms, ESAL values- influence of the traffic on the road surface – and a table of the most recent vehicle classes and also axle load and traffic flow models are created. Apart from the number of vehicles it is also shown which loads are on the bridge and the road and a classification of the heavy good vehicles in 67 classes from 6 groups takes place. Since the middle of 2008 systems on highways, on federal roads and on rural roads are available for measurements. After a real load model was created further calculations concerning the remaining life of the bridge can be carried out, which base amongst others on the load step method. 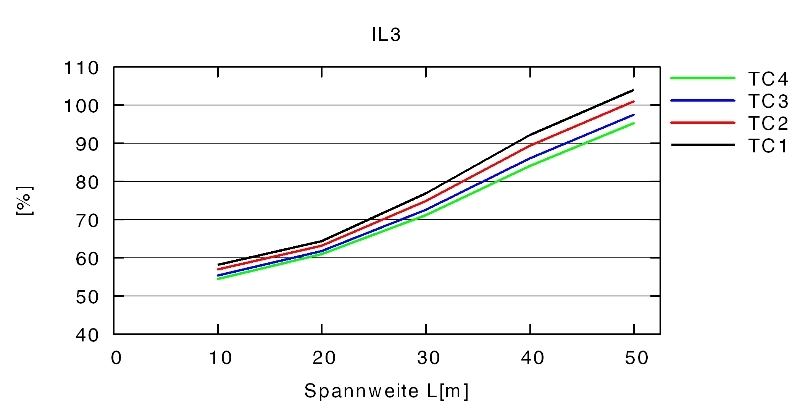 4 influence lines for 4 traffic categories for bridge lengths from 10 – 50 m are calculated and further statically calculations take place. 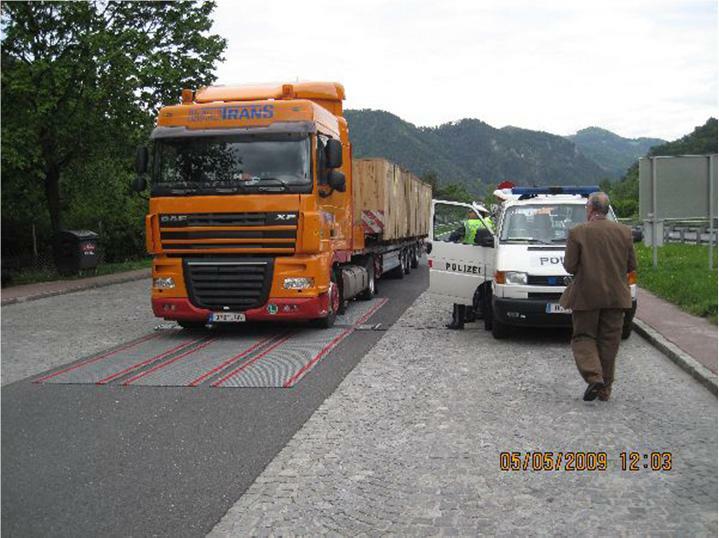 iBWIM measures loads during the over passing of vehicles and shows an excellent accuracy. The cover of the bridge is not damaged during the installation. The customer gets information about the condition of the bridge, the remaining life time and about the dynamical load. An iBWIM-system with a camera is installed at a bridge. Data of vehicles are submitted to a PC which is near the bridge – for instance at the observation deck – and data of overweighed trucks are passed on to the executive body, which culls the overweighed trucks to the observation deck. The whole transmission process takes place online and takes less than several seconds. The use of this pre-selection is a determination of overloading in cooperation with the executive body.